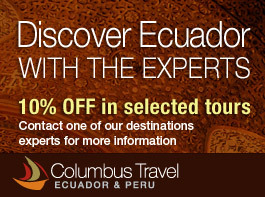 Hotels in the Ecuadorian Andes range from cozy haciendas, luxury resorts in thermal spots, and cloud forest resorts. We have arranged a large assortment of all kinds of choices to choose from no matter what kind of budget you may have. Whatever it is you are looking for anywhere in the Andes, you'll find it here.